This is probably just another case of mistaken identity, but Best Buy currently has the current model MacBook Pro published adorning a Core i7 logo. 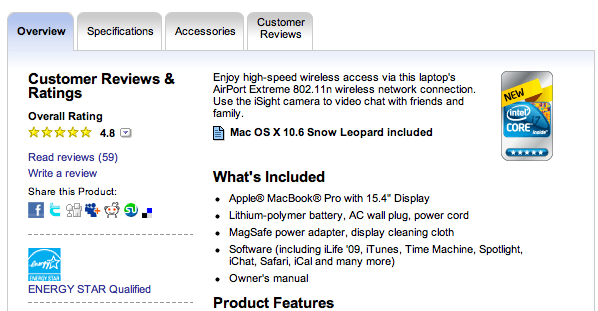 The rest of the specs are still in line with the current MacBook Pros including Core 2 Duo processors. Also, other MacBook Pros, even more expensive ones, still have the old Core 2 Duo logo on them. Getting a little head of ourselves are we?